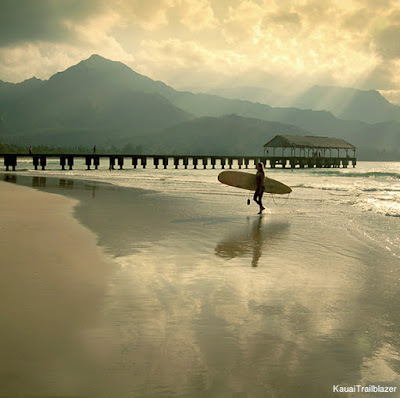 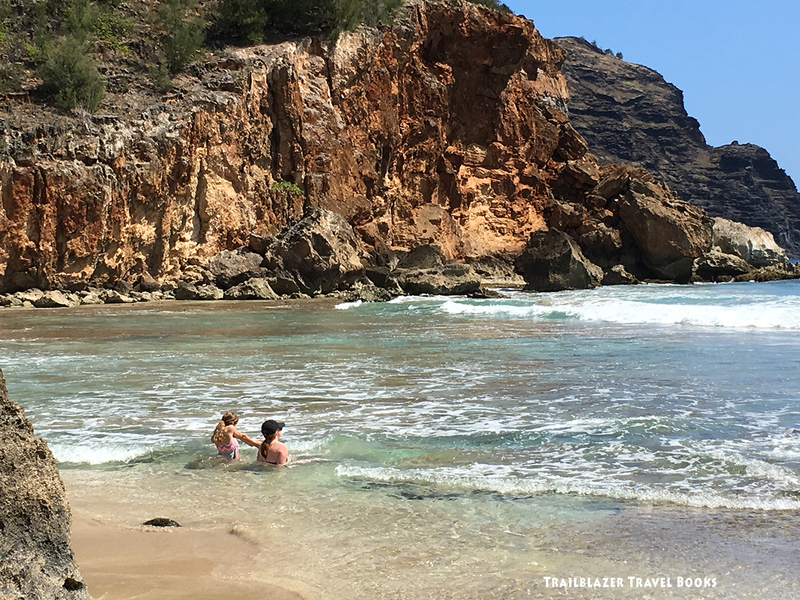 Filling out a daily schedule is not a tough task on Kauai (or any of the Islands): Find a beach to snorkel and hang out, find a trail into a tropical forest, and seek to soak in some Hawaiian culture. 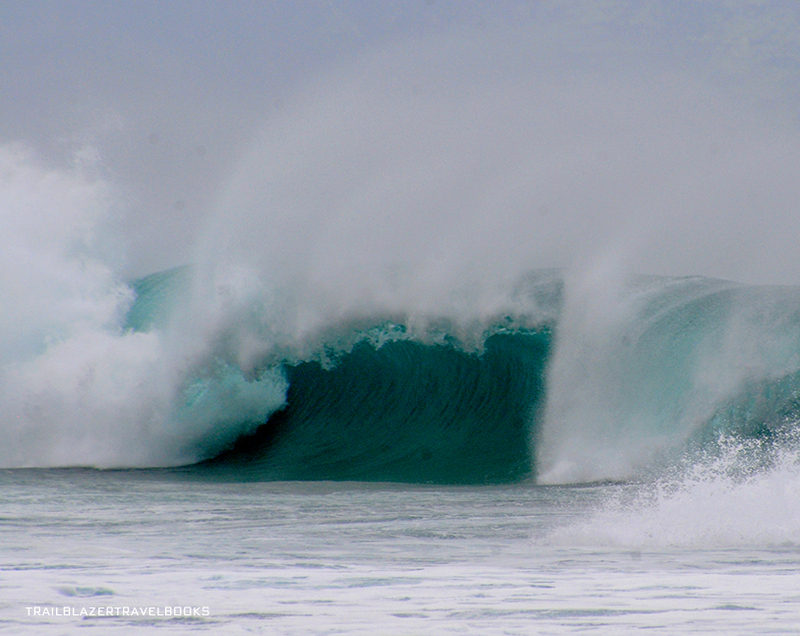 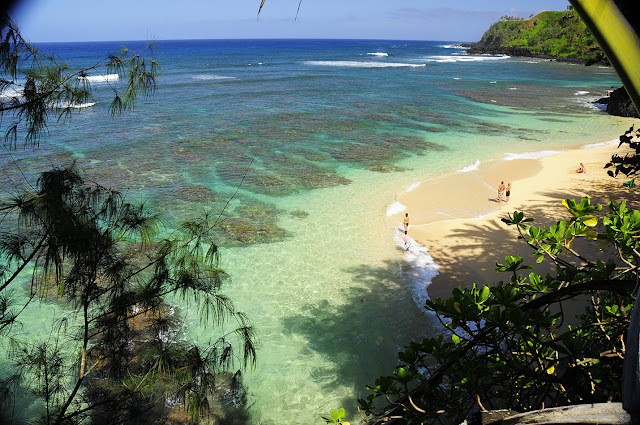 Hideaways Beach (above) in Princeville is a good place to punch the snorkel ticket. 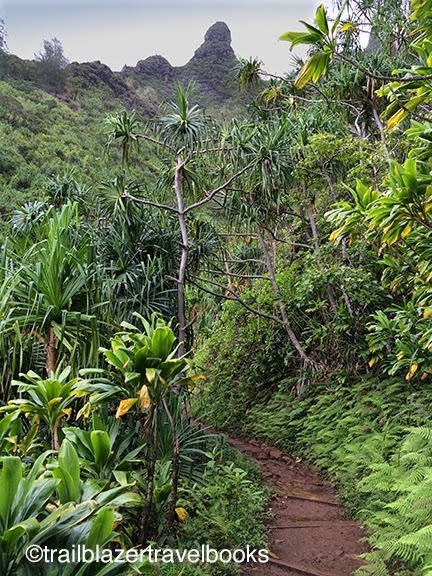 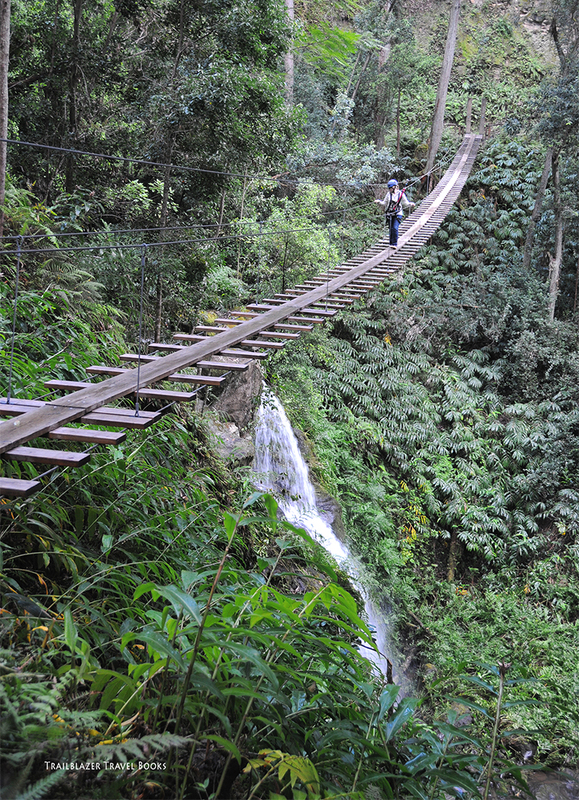 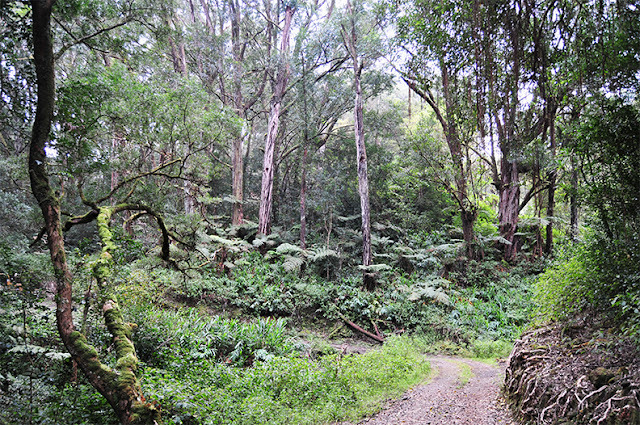 The Powerline Trail (above) that extends from above Kapa'a to the North Shore is a spectacular hike that sees little use, given other trails in the vicinity. 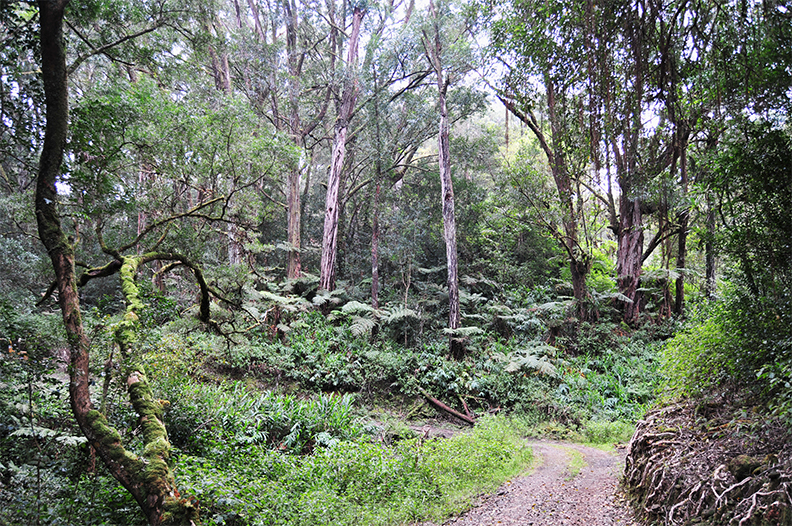 Hiking the whole trans-island route is a challenge, since it is overgrown in the middle. 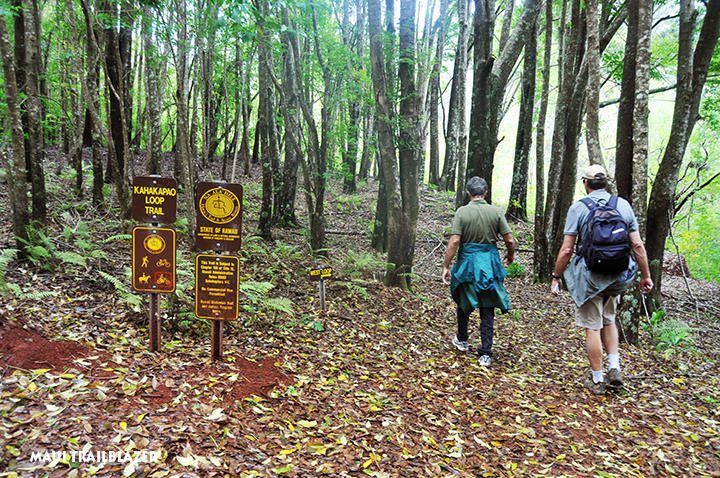 A better choice is to do an out-and-back from either of the trailheads. 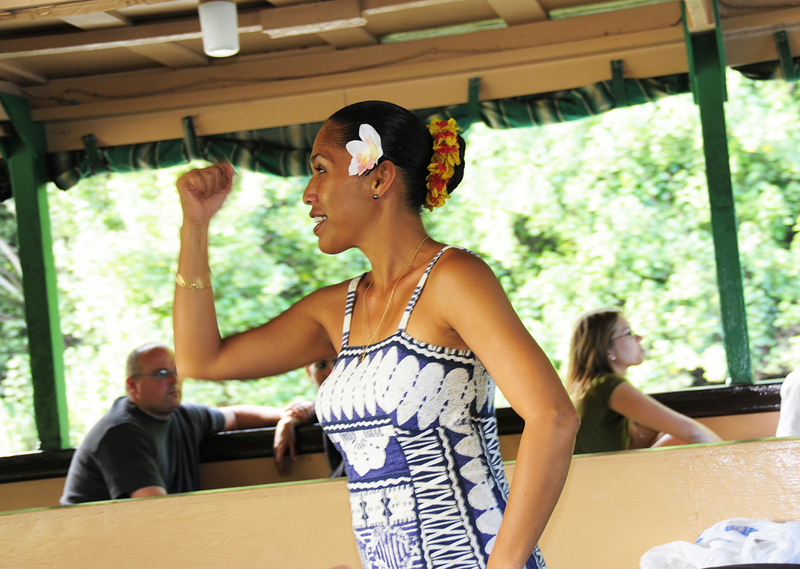 You really can't set foot anywhere in Hawaii without being immersed in cultural traditions. 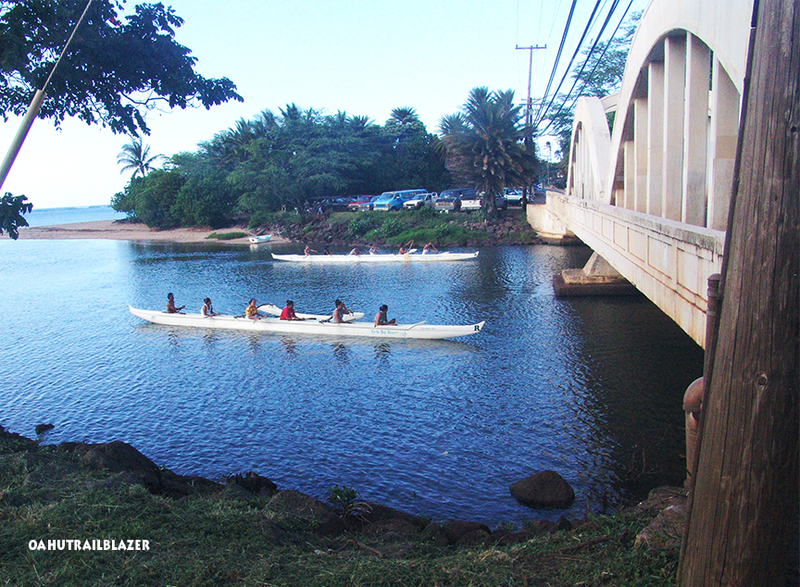 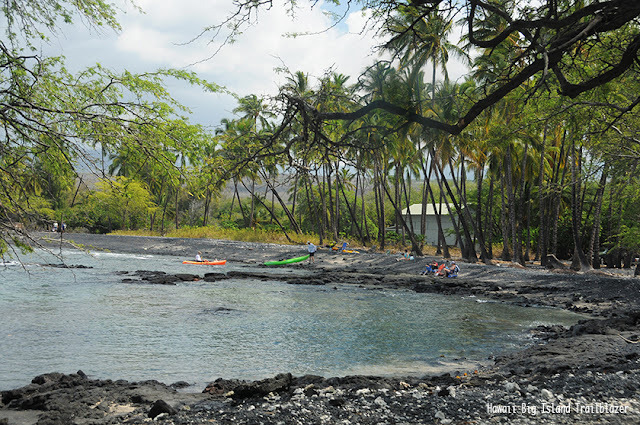 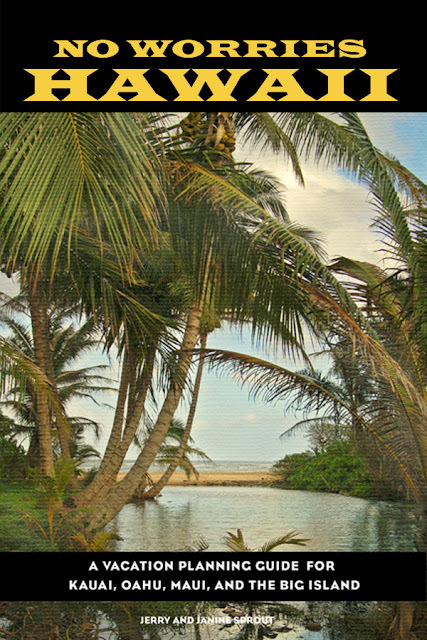 A family favorite is the Smith's paddleboat tour up the Wailua River to Fern Grotto. 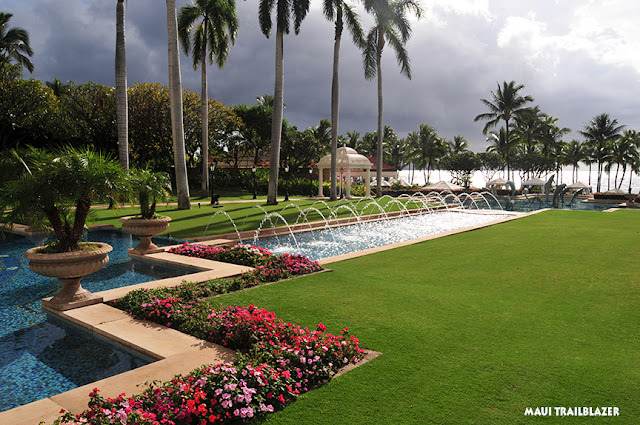 The Smith family has operated the boats—as well as a tropical garden and luau—for more than 60 years. 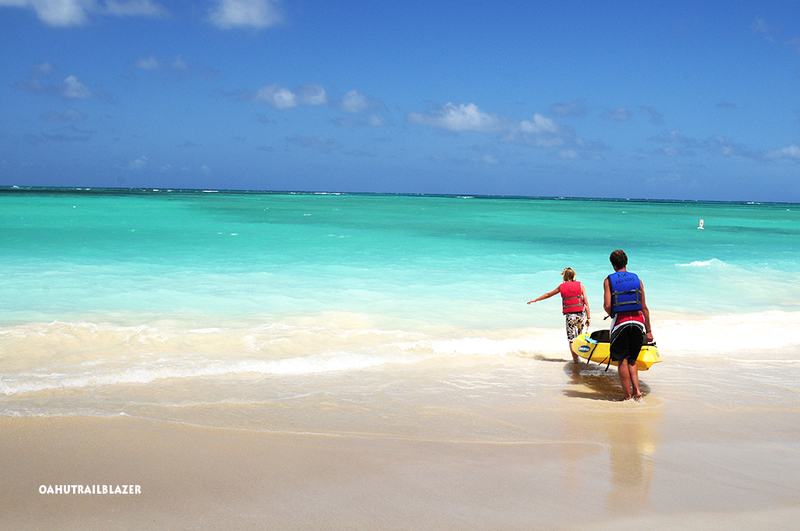 Kayaking is also a popular way to see the wide Wailua. 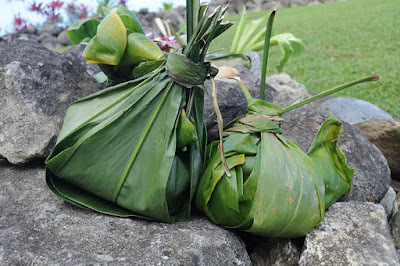 Trailblazer Travel Books provide an inexhaustible menu of triple-play-day options for all the Islands. 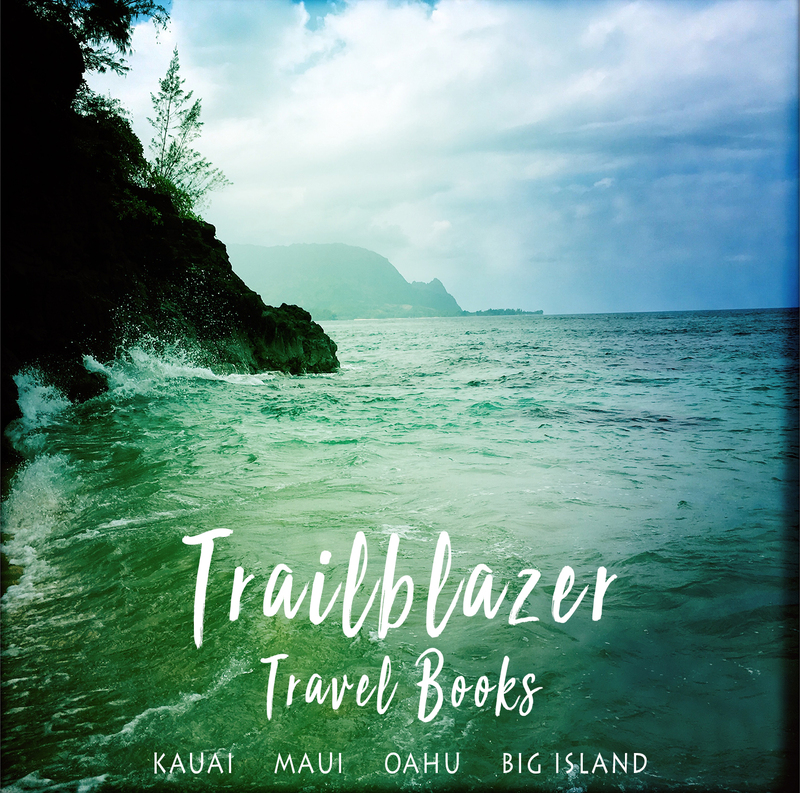 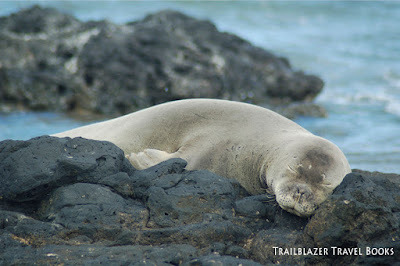 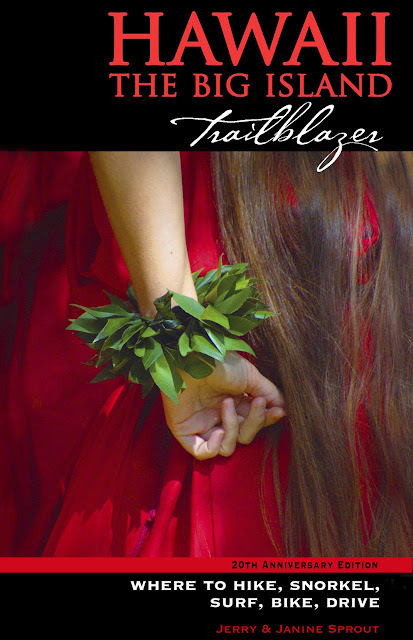 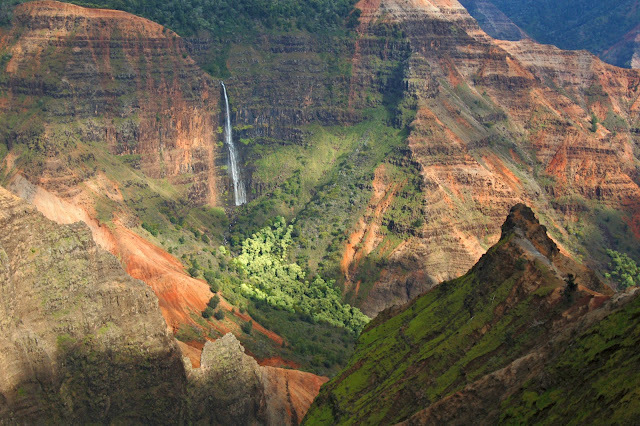 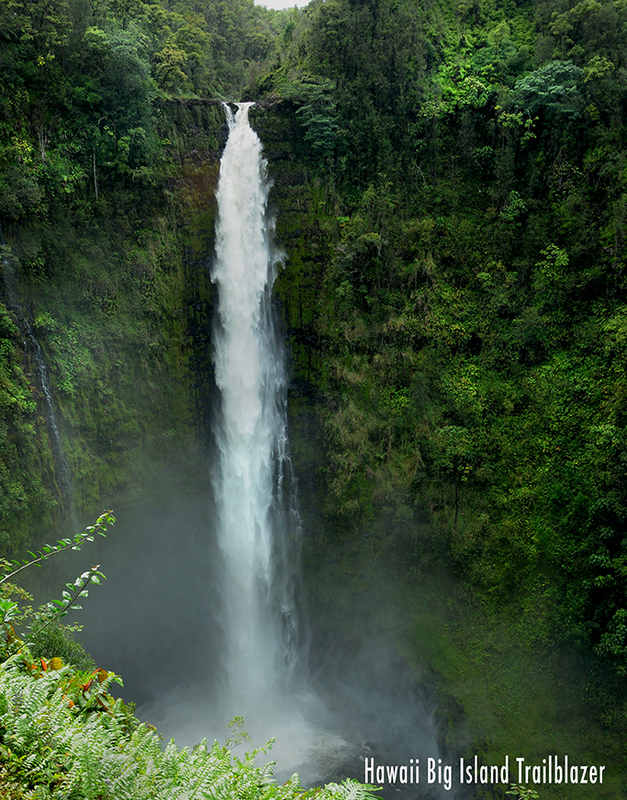 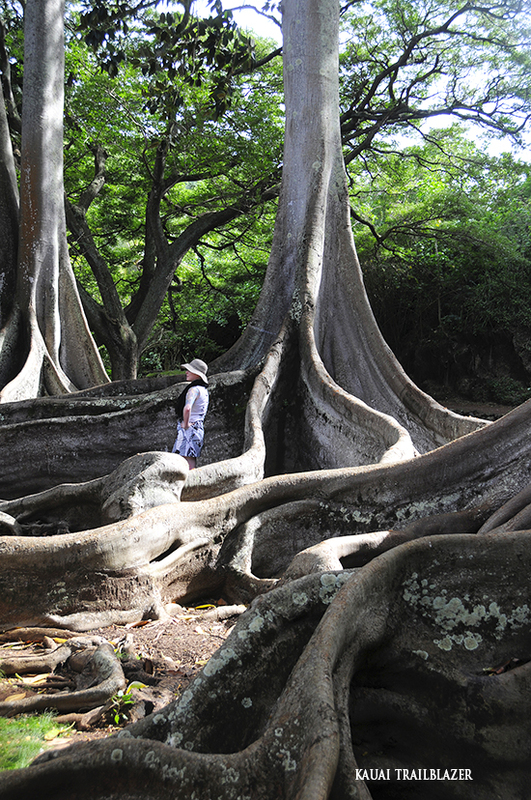 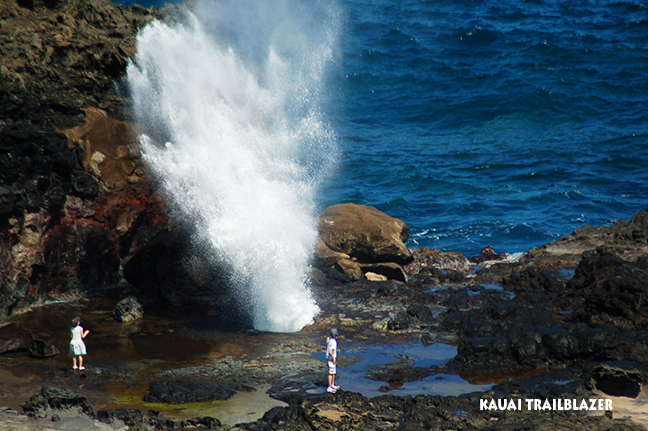 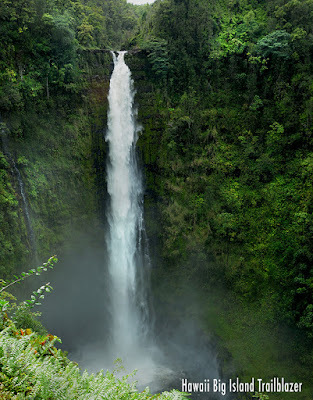 Trailblazer's Hawaii Guides: Adventure in your Pocket. 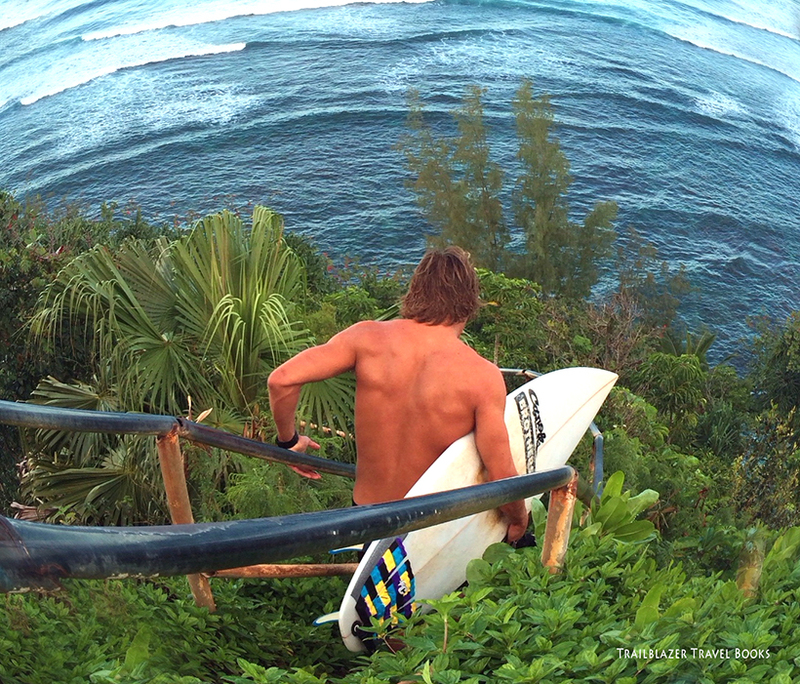 Memories in the Bank. 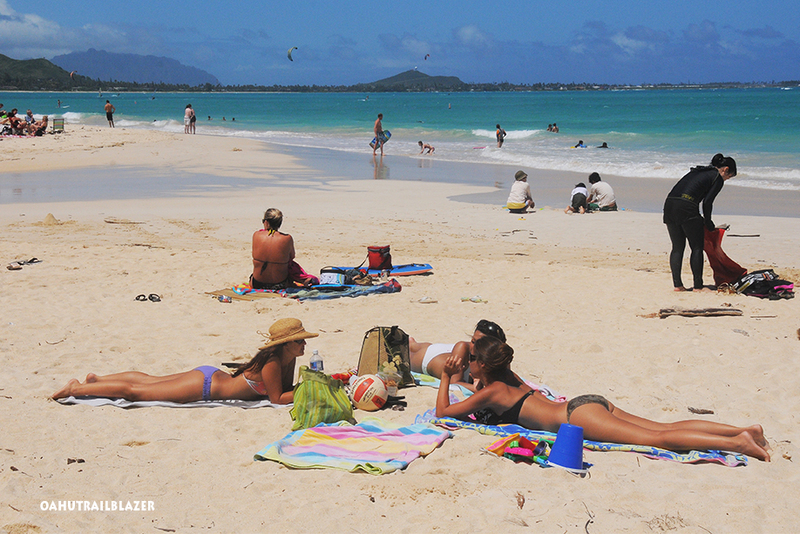 Hawaii means different things for different people, offering a mind-boggling array of choices. 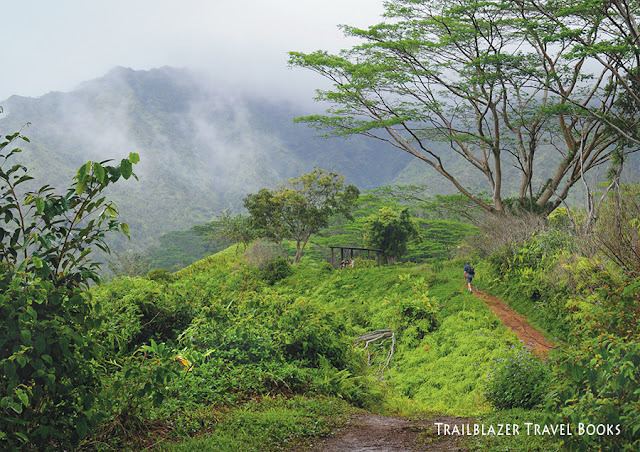 With Trailblazer guides, no matter where you are, you can answer the question, "I wonder what's down that road?" 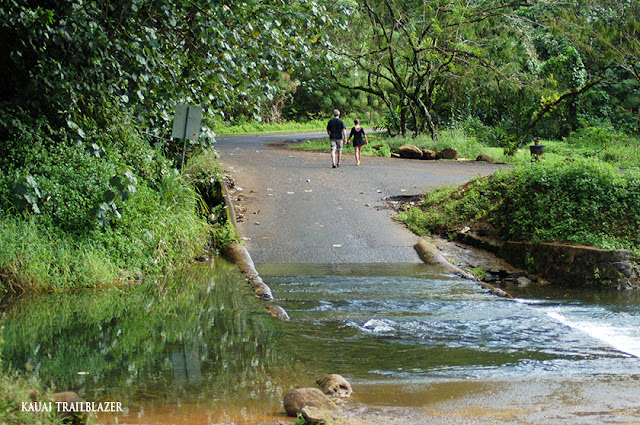 Some activities require planning and reservations, but the best of times are often had by turning the steering wheel on a whim. 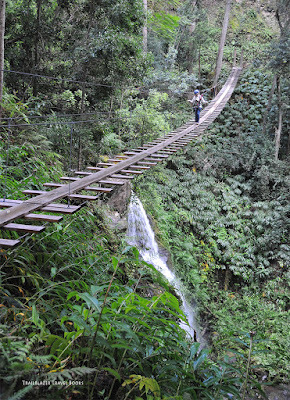 Indiana Jones-style adventures into the tropical forests are not always easy to find. 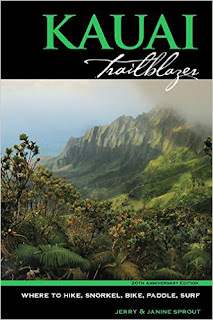 Trailblazers do the leg work for you, and will lead you to places not crammed with tourists. The best trails aren't always the most popular. Sure, the main attractions are popular for good reason. But the out-of-the way routes will often linger in your mind as a place to call your own. 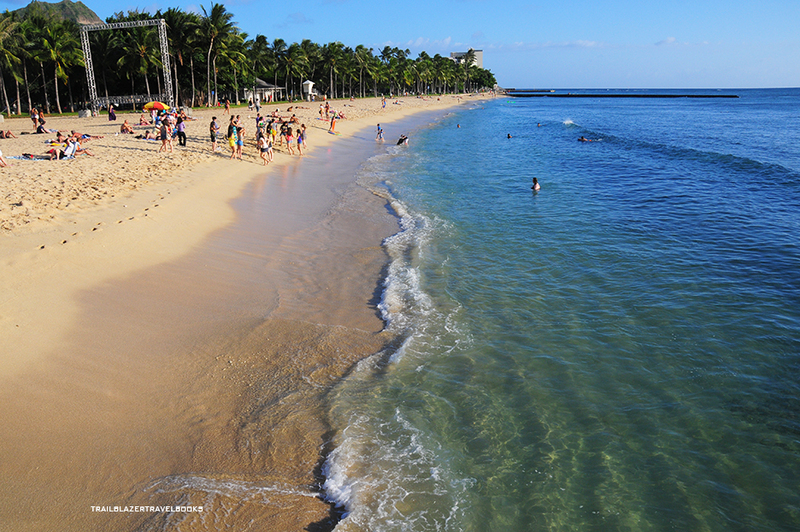 Beaches beaches beaches and more beaches. 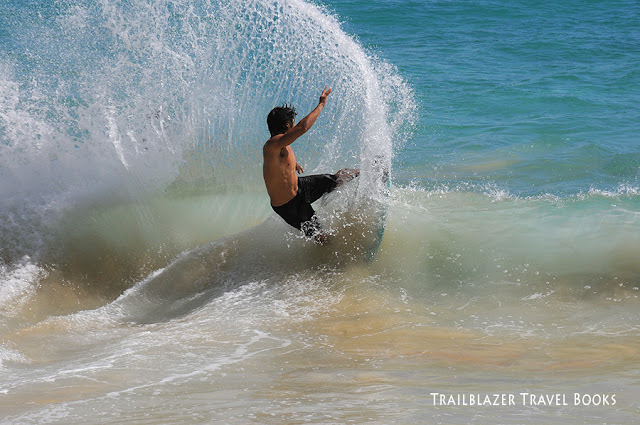 Few visitors actually surf in Hawaii, but Trailblazers will take you to the best and safest places to learn—and also the best spots to plant yourself in the sand and watch the show. 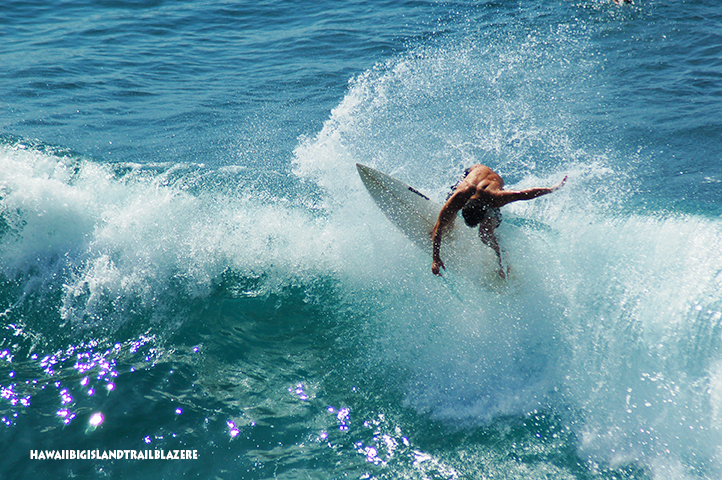 The world's top surfers are riding waves every day the waves are breaking. Sometimes adventure means kicking back with your fellow mammals—like this Hawaiian Monk seal. 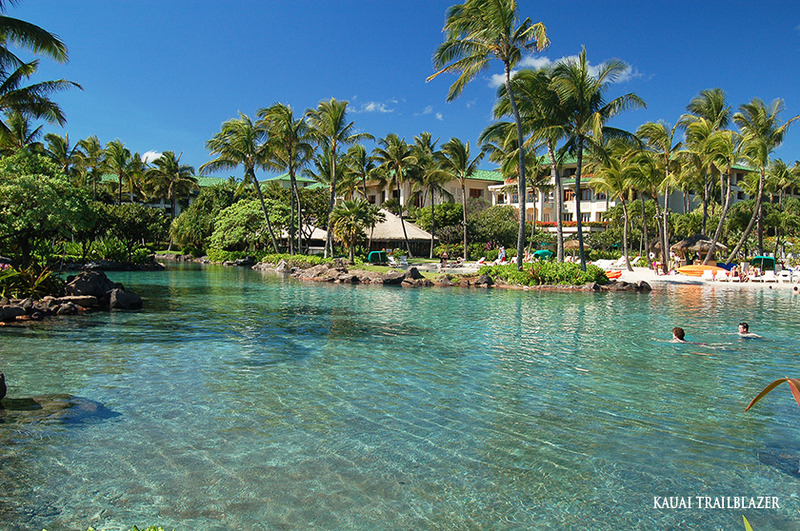 Sometimes adventure means luxuriating at a swank hotel. You don't need to be a guest to enjoy the grounds and beaches. 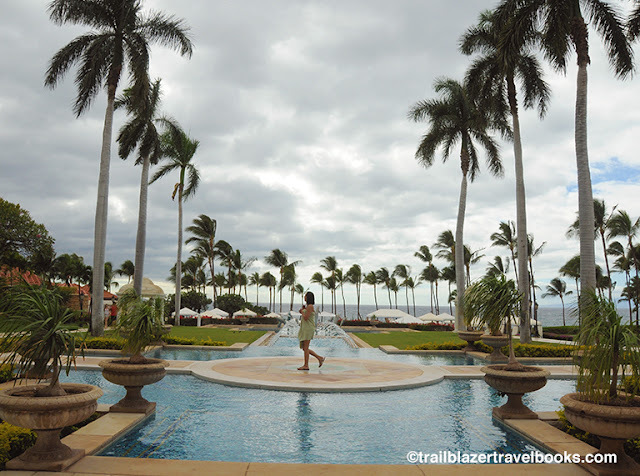 Trailblazers have the details on all the top destination resorts. 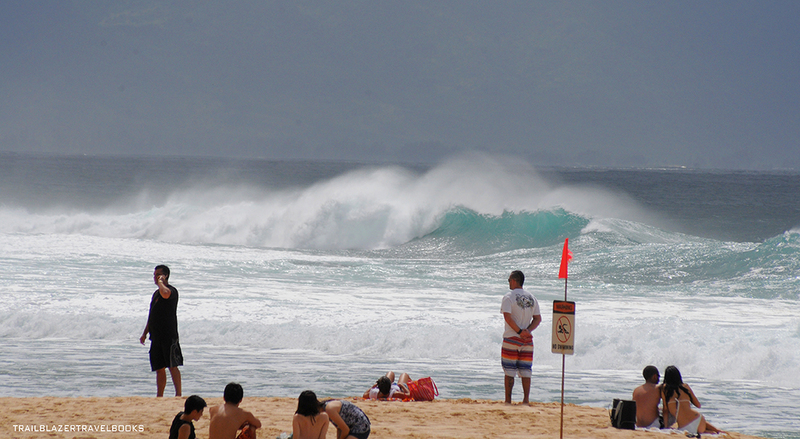 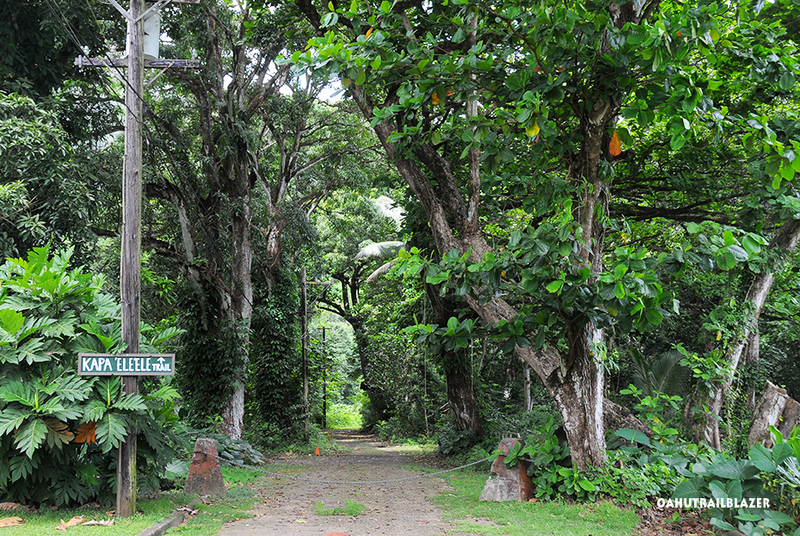 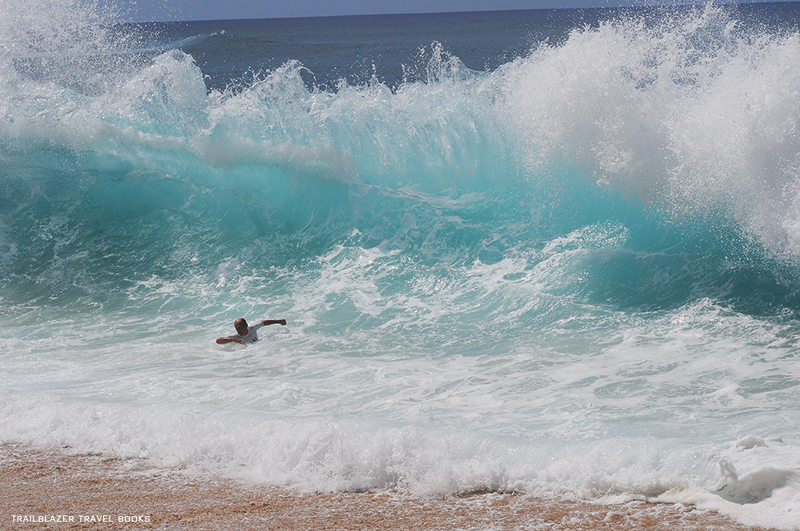 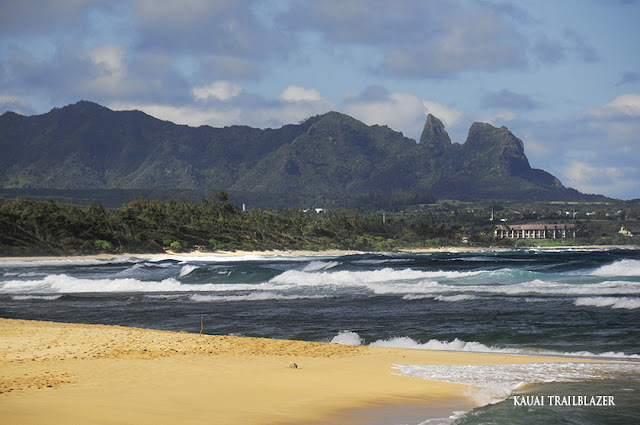 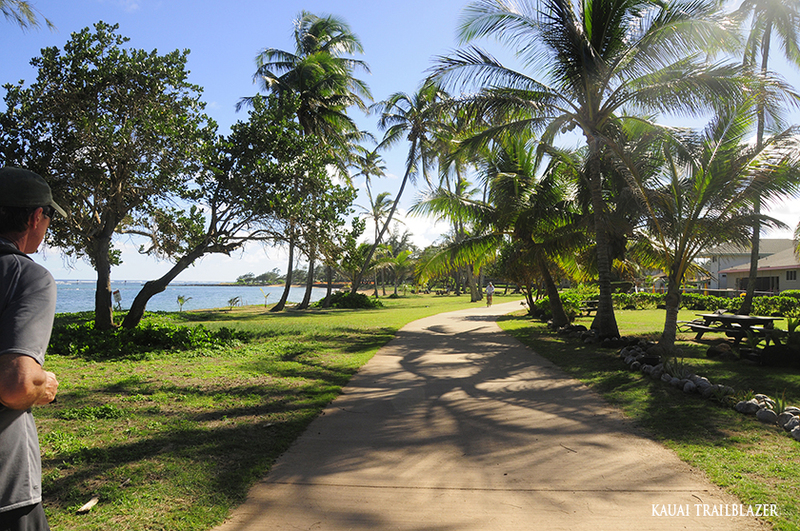 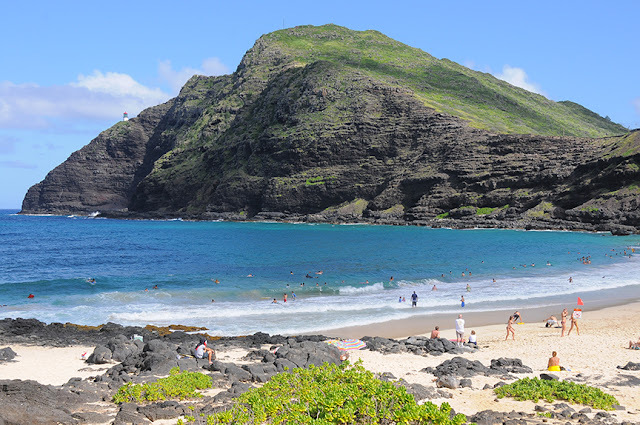 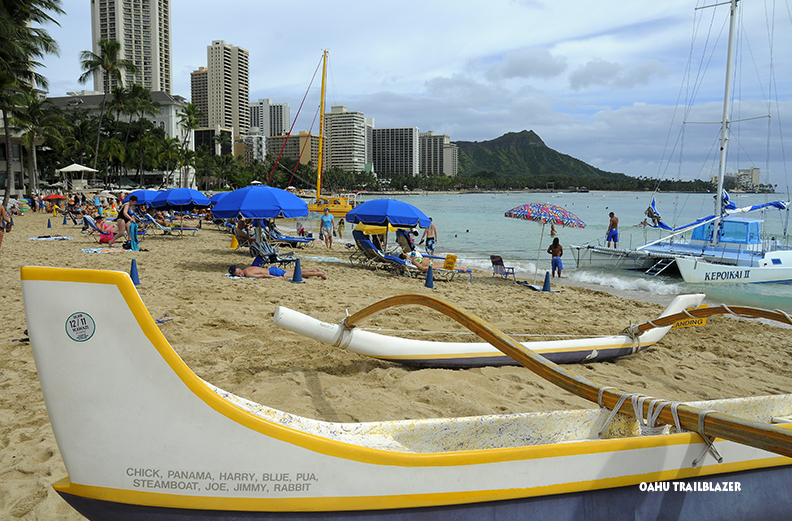 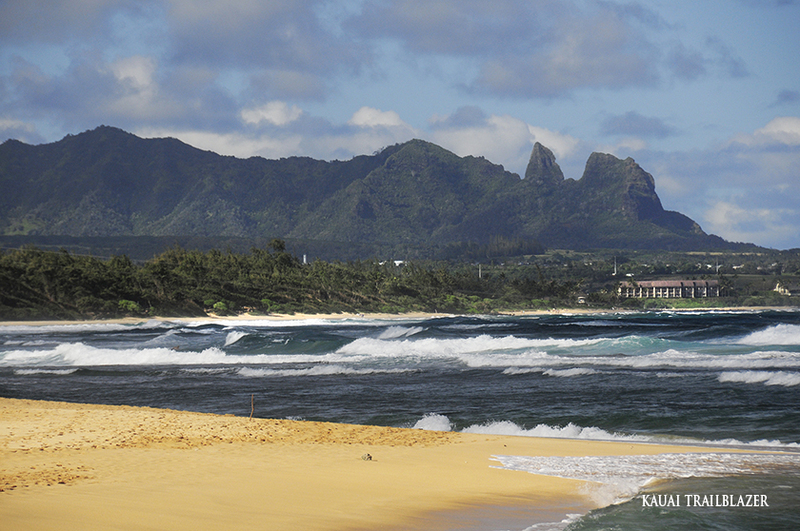 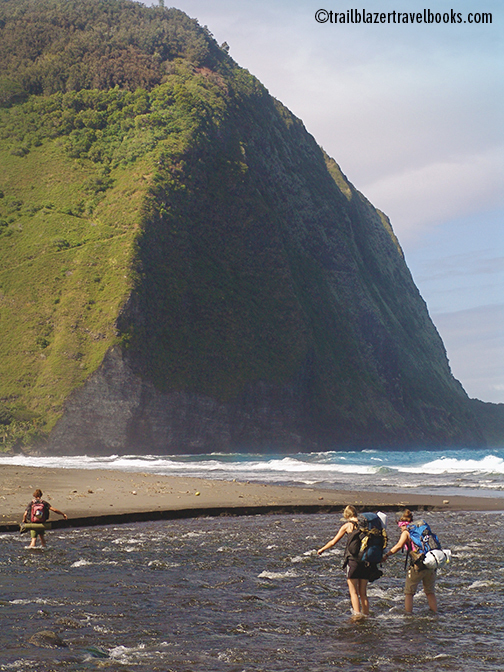 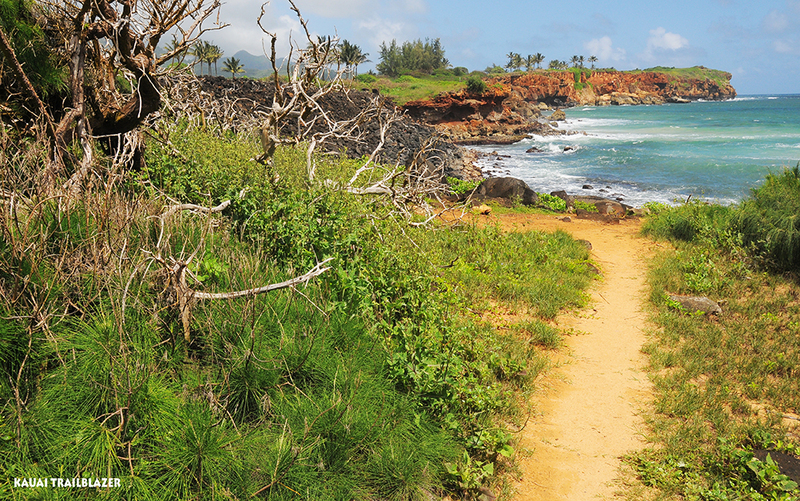 Many—perhaps most—beaches in Hawaii aren't signed, and require a short hike to get to. 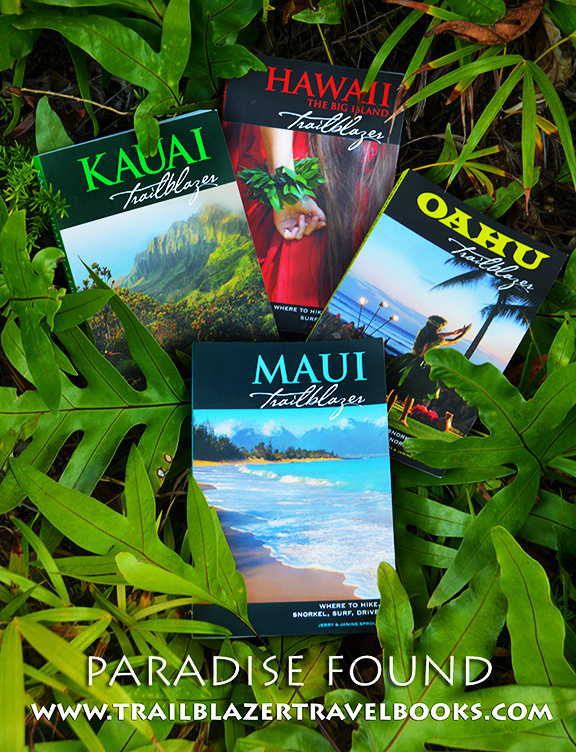 Trailblazers have detailed driving and parking directions to find these places. You want to spend your time having fun, not looking for it. Since the average couple will spend a few grand on a vacation to Hawaii, it makes sense for them to spend an extra twenty bucks to be sure they will have a good time. 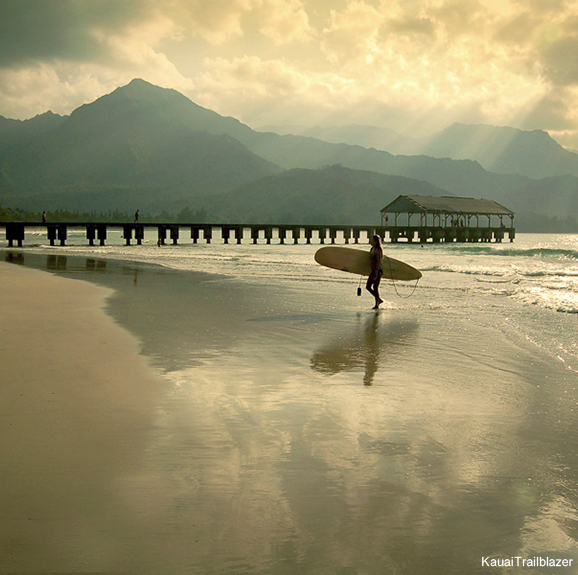 No Worries Hawaii—a vacation planning guide decades in the making—makes it happen. The guide is for first-timers AND for repeat visitors who find themselves going to the same place and doing the same stuff and want to branch out. The heart of No Worries Hawaii is a simple but ingenious self-test that really (really) directs you the the activities and places that get you pumped, and helps you avoid those you are not interested in. 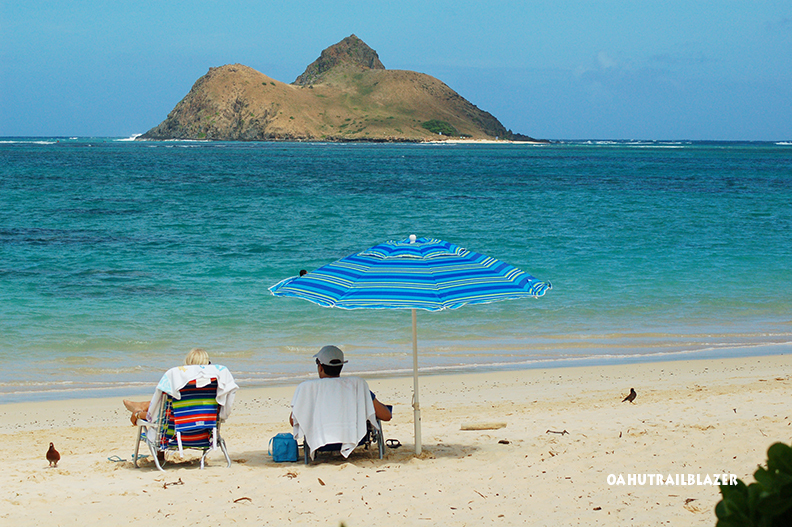 The result is a vacation that's a custom fit, and not off the rack. 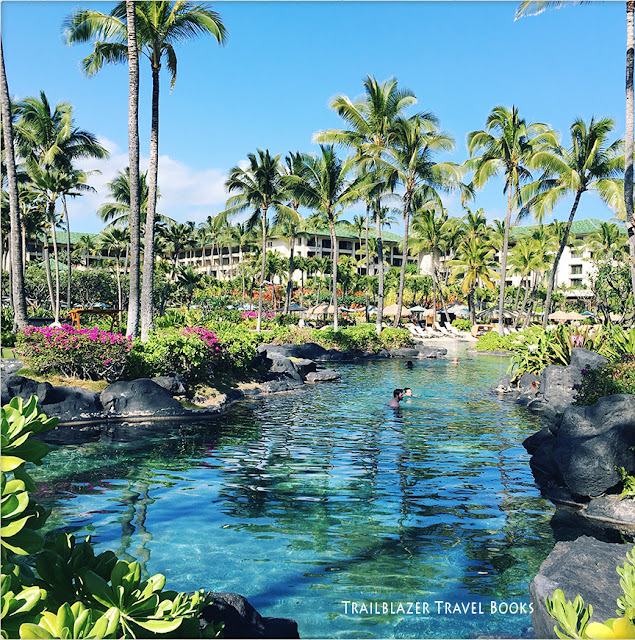 Hawaiian activities—36 in all, including hiking, snorkeling, shopping, kick-back beaches, rainforests, surfing, museums and cultural sites, luxury resorts—are arranged in a list. You choose what you "gotta have," "would be nice," or don't care about. 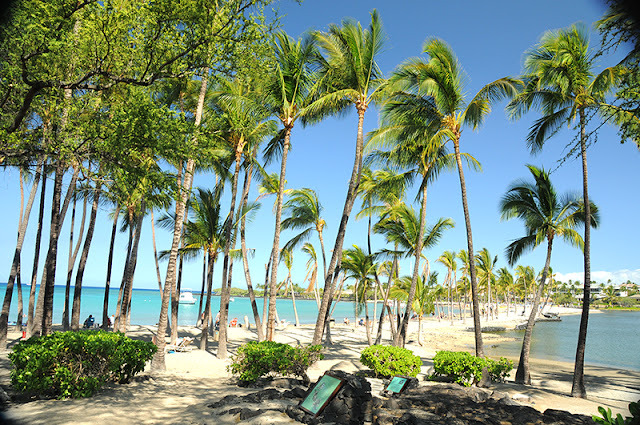 The test summarizes your results and directs you to the island is the best fit. 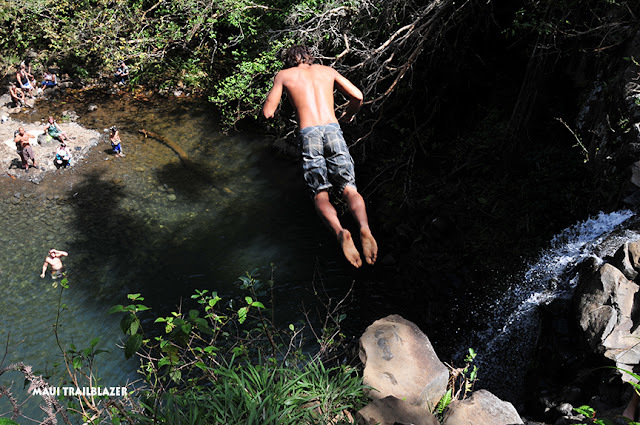 For each activity, the guide lists the Top 5 in the state, the Top 20, and then all the others that are worth a look. No Worries Hawaii also offers money-saving tips and lists the fabulous freebies. The guide steers you toward the type of accommodation you desire (mid-range condo, rustic, beach cottages, resorts strips, etc.) 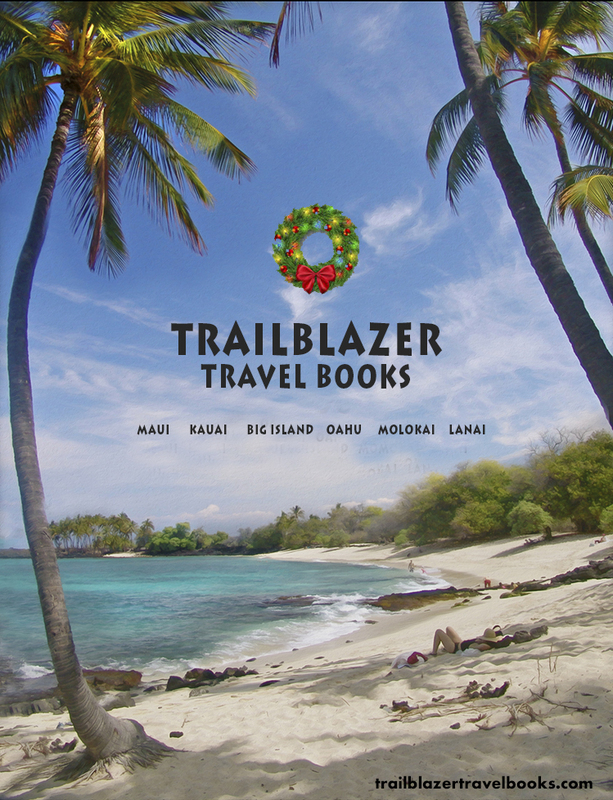 and gives hand-picked recommendations. 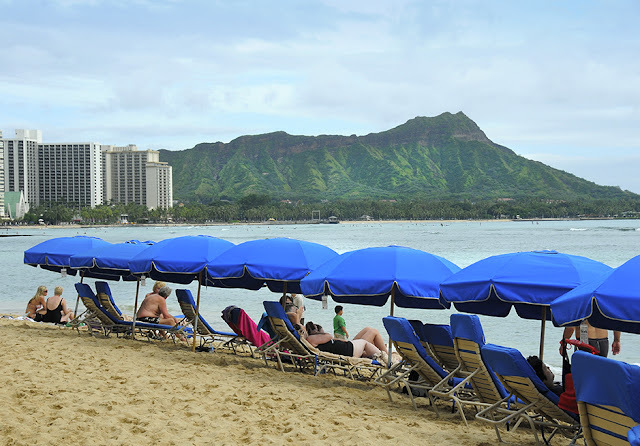 Tips on booking flights and rental cars, and how to avoid hassles are also included. 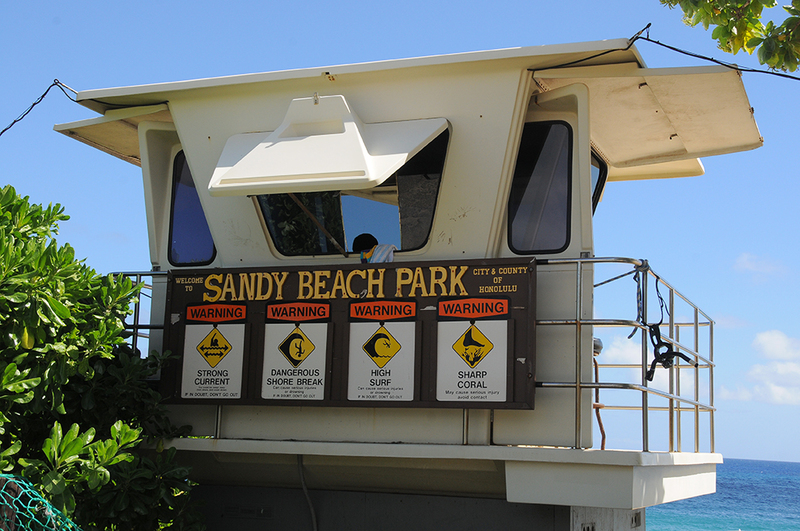 A centerpiece of the book is its safety section, which offers specific advice on beach and trail hazards. 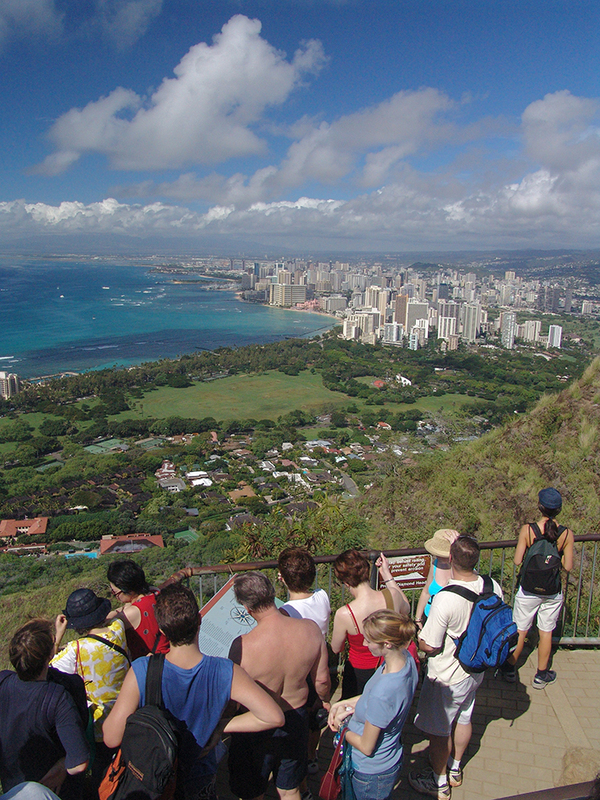 All types of tour activities are also rated—is it worth the money? 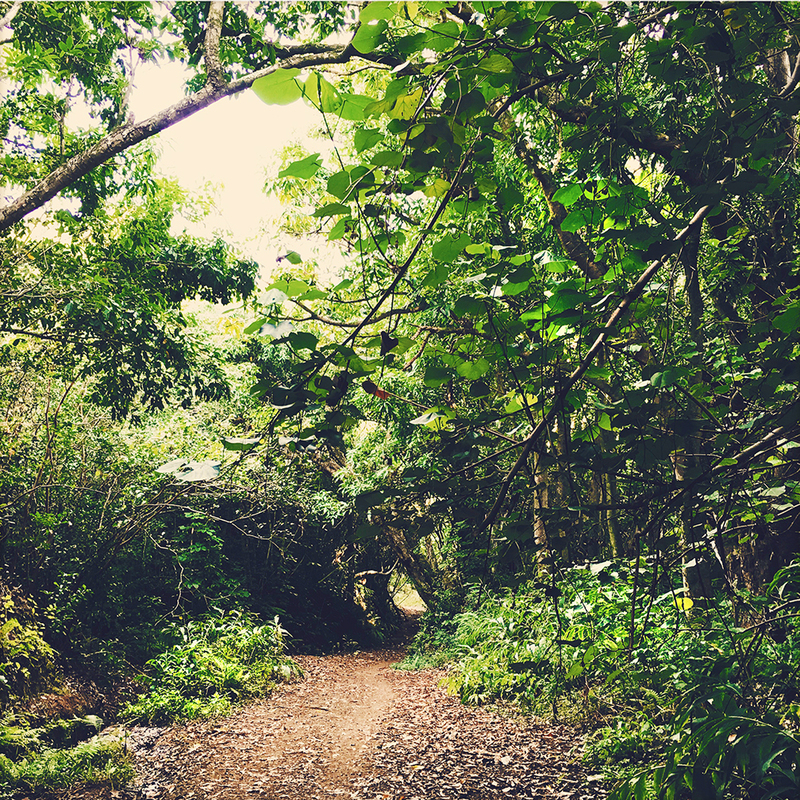 how to save money? 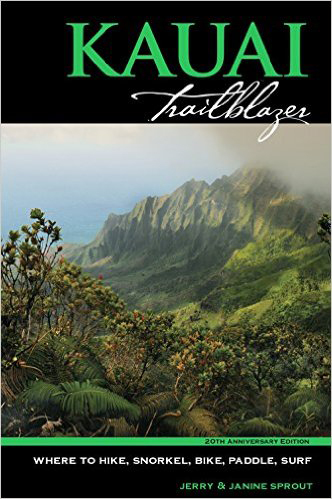 This book is not full of platitudes and generalizations. 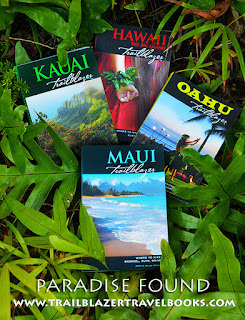 It has well-organized, specific advice from authors who have spent decades in the Islands, and have published outdoor-cultural guides for each island that have been in print and updated for 20 years.